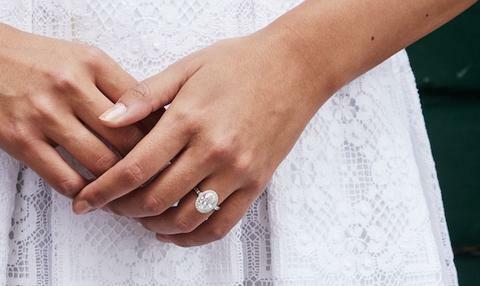 Jewellery is our way of celebrating life and the ones we love, and choosing an engagement ring should be a truly exciting and special experience. Traditionally diamonds are round, which is known as a brilliant cut, but can also be faceted into other shapes. Most often these are square (known as princess cut), pear-shaped, oval or emerald cut, like the one beautifully set into our Sarpa Diamond Ring. The term used to describe how ‘clear’ your diamonds is. All diamonds contain tiny inclusions, except for those very, very rare stones recognised as ‘flawless’. Inclusions are natural and part of what makes each diamond unique. In a diamond of good clarity you should not be able to see them without a jewellers’ loupe. Before you find a ring that’s ‘the one’ start by looking at your ‘one’ – your beautiful partner. Her own style, hobbies and even her job could influence the ring you choose. Take a sneak peek at her wardrobe and most importantly her jewellery box to gauge her taste, and you’ll soon be clued up on her jewellery style. If her jewellery box proves tricky to access, why not call one of her friends? They will love that you have asked them for advice – after all, they know her taste – and it’s a chance for them to be part of this exciting experience. You could even ask them to share some ring ideas with you – just make sure they keep it a secret! An excerpt from a recent post for Austrian jewellery brand Aenea Jewellery, for which I am providing blog content. Read the rest of the Top 10 Tips here.